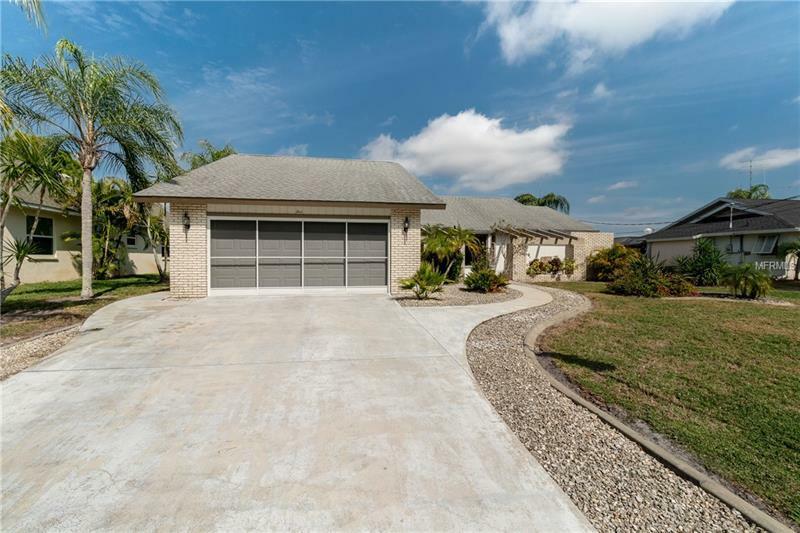 Beautiful Bright and Airy 2 Bedroom 2 Bathroom Home located on the Golf Course of The Palms in Rotonda West. Very little traffic and lots of privacy with this Newport Built home. Featuring 2 master suites, and a large Kitchen with Family Room leading out to large lanai. Beyond the large lanai is a big open patio with lots of landscaping and peek-a-boo views of the golf course. Great for entertaining and cook-outs. Offered turnkey furnished except for a few personal items. Rotonda West is a golfing community offering five golf courses operated by Rotonda Golf and Country Club. Thirty miles of picturesque canals, lakes and ponds wind through the community and offer fishing and boating opportunities for its residents. Many exotic and beautiful birds and other wildlife call Rotonda West their home. Nearby recreation facilities, beaches, theaters, sporting events, and fine restaurants. Also features Cape Haze Pioneer Trail 7.8 miles of biking or walking from Rotonda West to Cape Haze. Make your appointment Today to see this home!